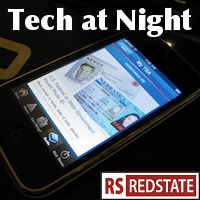 Tech at Night: Eric Cantor: SOPA’s dead. SOPA is dead in the House, says Majority Leader Eric Cantor, until there is consensus. Since there’s never going to be consensus on Internet censorship, Cantor seems to be saying the issue’s dead in this Congress. The President went mushy on SOPA, Harry Reid and Senate Democrats decided to push forward, but Eric Cantor, Darrell Issa, and House Republicans want to kill the bill. That’s a clear, bright line, folks. Turns out primary threats matter more than vague protests. Hey, if Rupert Murdoch wants to hold Google accountable for every search result, then let’s come after Rupert Murdoch for every classified ad ever run in any of his newspapers, eh? Have any ‘pirates’ ever advertised there? Massage parlors? Other lawbreakers? Betcha they have. And I bet Google hasn’t hacked anybody’s phones. Or committed perjury before British inquiries related to those phone hackings, like James Murdoch and British elements of the News Corp. empire have. Oops. If the FCC doesn’t like Republican efforts to constrain their freedom of action on spectrum, it’s their own fault for creating that mistrust that now exist. Nobody believes Julius Genachowski has any intent to obey the law. He thinks he’s above the law.